Nicolette Johnson is a ceramic artist whose work explores symmetry, botanical motifs, and the importance of the artefact. Nicolette was born in London, England in 1990 and today is based in Brisbane, Australia. Working in stoneware and employing wheel-throwing, coiling, and sculpting techniques, Nicolette applies a modern aesthetic to re-imagined ancient forms. Her work is included in the permanent collections of The National Gallery of Victoria and the Museum of Brisbane. 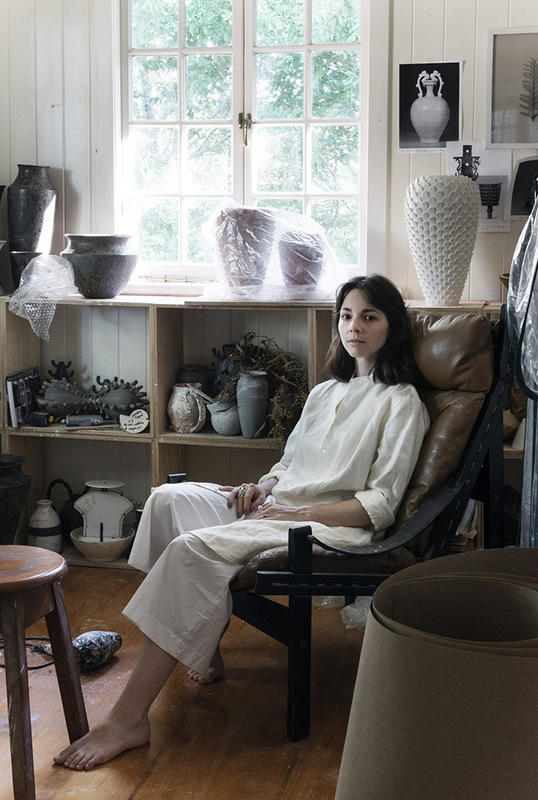 With a background in photographic art and social documentary, Nicolette began studying ceramics in 2015 and is continuing her practice-led exploration into functional and sculptural ceramic vessels, hand-making and firing each of her works in her Brisbane home studio. 2018 – Museum of Brisbane, Brisbane, Australia. Spire, Two-Pronged Vase (Ore), Crucible I.